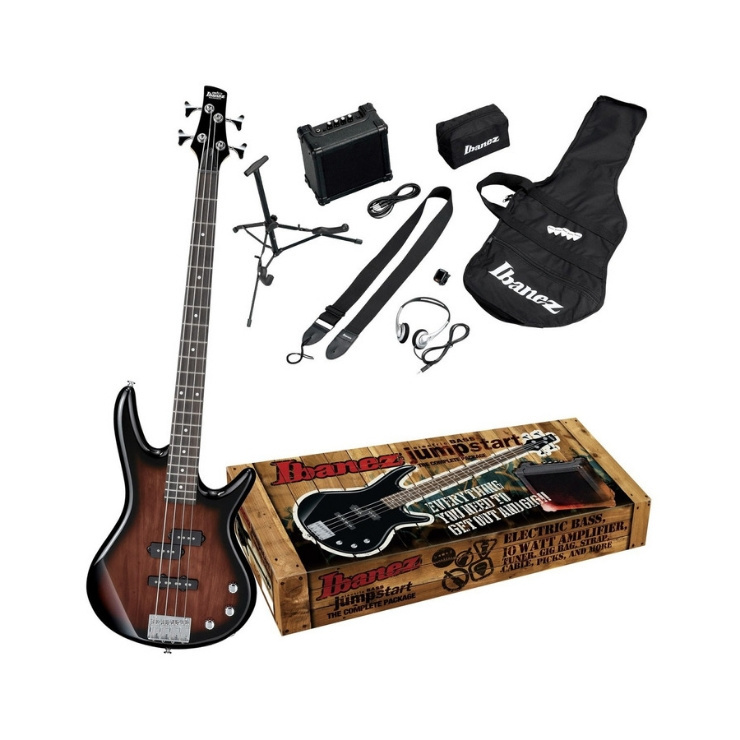 The Ibanez IJSR190E Jumpstart Bass Pack 2018, Walnut Sunburst provides players with everything they need to get out and start gigging. Its high quality GSR190 bass delivers a stunning performance, features a basswood body, maple neck, and New Zealand pine construction for a beautifully balanced tonality. The included gig bag ensures your bass will be protected when travelling from gig to gig, while the 10W bass amp, guitar strap, and cable delivers a stage ready performance. The Jumpstart Bass Pack also features a stand for storing your bass, headphones for silent practice, a tuner, picks, and an accessories pouch to keep all your items close at hand. If you're ready to learn or just want to start rocking out, this pack is ready to help. 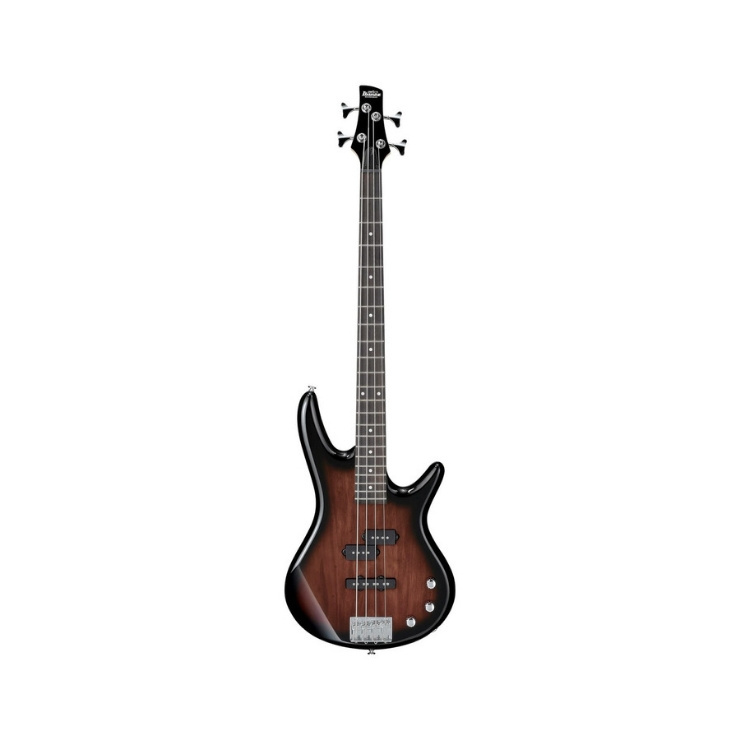 The Ibanez SR190 Bass features a lightweight basswood body coupled with a maple neck and New Zealand pine fingerboard, offering bright, balanced tones which suit a variety of musical styles. The body’s smooth, unique contours provide an incredibly comfortable playing experience, while the neck and fingerboard offer a quick, fast play. Its set of standard J/P pickups offer a versatile performance, producing classic bass tones to accommodate a range of playing styles. The B10 bridge provides excellent string and tuning stability, ensuring you can performance all night without worry. The IJSR190 pack also includes a sturdy gig bag, to protect your instrument when getting to and from lessons or, when you're ready, hitting the road and starting gigging, and a stand to display your bass when not in use. 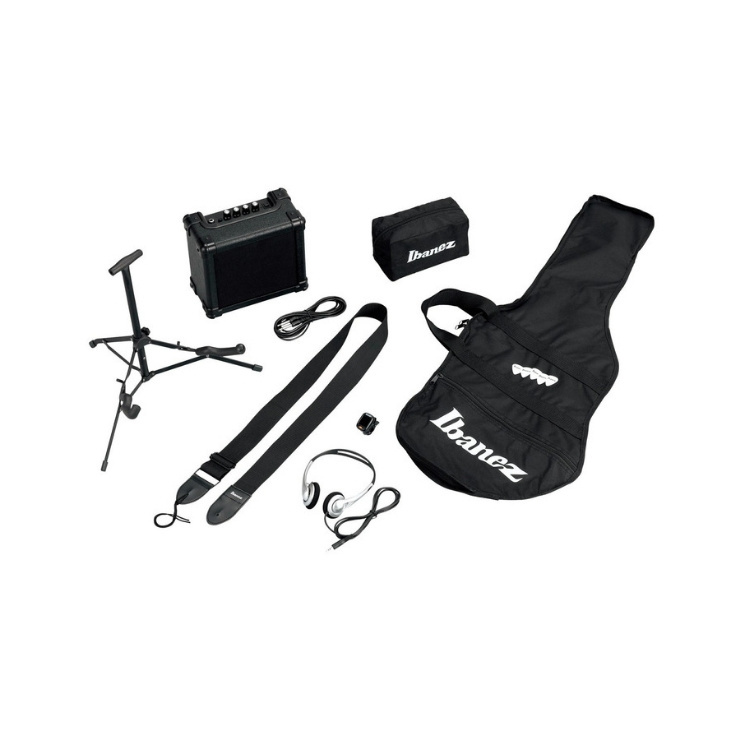 It also includes a pair of headphones, so you can practise without annoying the neighbours, an electronic tuner to help you sound great, a set of picks and a pouch for storing all these great accessories.